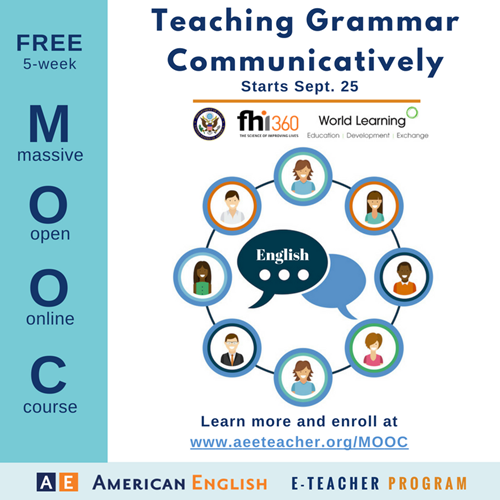 This free 5-week course is a great opportunity for English teachers to improve their ways to teach grammar in a communicative way. I took it before and it was very amazing. By the end of this experience, teachers will learn new strategies, approaches, perspectives and practical examples that can make a difference in their classes.